There is a recent movement in the United States towards shedding material things and reducing one’s “footprint” on a number of levels. For some this can mean simply getting rid of excess belongings. For others, it can mean more than just an effort to declutter your life. It can take a far more significant turn. One of the more popular ways people have been “downsizing” their lifestyles is with the Tiny House movement. These homes are often custom-built houses that are under 500 square feet. The idea is to optimize the available space in order to reduce costs all around. Seniors are discovering a way of living that will meet their needs, all while being able to live more comfortably within their fixed incomes. Also, with customized building, Seniors can have their homes built to be more handicap accessible, allowing them to age in place. Young couples are finding by living Tiny, they are able to get a head start with their starter home that will help them eventually "Graduate" to a more traditional home if they so desire …it’s all about living within means and taking the money saved and applying it towards whatever goals they may have. In fact, one network - HGTV - has at least five different shows dedicated to "Tiny Houses" including Tiny House Big Living, Tiny House Builders, Tiny House Hunters, Tiny Paradise, and Tiny House Nation. Downsizing your lifestyle, however, does not necessarily mean you'll end up in a 20 by 20 foot cabin on wheels! You can still make a significant impact in your lifestyle and your budget by simply following a plan to reduce acquisition and accumulation of things. And by getting rid of much of what you have now. One of the realities of life is that it brings many changes over the years. For many Americans, one of the most common changes is having to move or relocate. For a growing number of aging Americans, however, this also means downsizing. The largest segment of the U.S. population - those aged 65 and over - will increase nearly 80 percent when the so-called Baby Boom generation retires during the decades between 2010 to 2030. There were approximately 76 million people born between the years 1946 and 1964, which is the traditional time frame for the Baby Boom generation. This means that they will retire over a 19-year period at a rate of about 10,000 a day. And by 2030, the elderly will account for one-fifth of the total U.S. population, or just over 70 million people. In fact, Americans aged 85 and older currently make up the fastest growing segment of the U.S. population. Many of these folks will be leaving the homes they had for years to move to retirement communities, apartments or into the homes of their grown children. And this will often mean that these folks won't have a need for all the things they may have accumulate through the years. Whatever the reasons for downsizing, the fact is that these people need to get rid of things. And there are a number of ways to do this. Its been shown that for most years the majority of giving comes from individuals. In fact, individuals gave $264.58 billion in 2015, which accounted for over 70 percent of all giving. This was almost a four percent increase over the amount given in 2014. And the trend has continued in recent years. It is the generosity of individual people, not faceless foundations or organization, that is responsible for almost all of the money donated each year. And this includes clothing and other goods. But decluttering your life and then wanting to donate furniture and other old items should not be seen as a great way to "dump off your unusable junk." Charities do not need or want clothing, appliances, and other goods that are not usable or in restorable condition. Those items should be handled by a junk hauling firm, not donated. If there is a large amount of furniture and household items to sell, then hosting and estate sale can be a great option. However, most companies will not agree to conduct an estate sale if there is not at least $10,000 worth of goods. In an estate sale, the staff will come in and price items and stage them in the home in a way that’s attractive and will minimize breakage during the sale itself. An estate sale is an event that involves far more than a simple yard sale. A professional company that can manage the buyers, watch for theft, and facilitate the liquidation is a great benefit and worth the price. There are advantages to having a sale in a home as opposed to an off-site location. Even though items such as carpets and old furniture aren't big sellers, they are more likely to sell from the estate home since buyers can more easily visualize them in their own homes. Once the sale is over and all the dust has settled, it is quite likely that there will still be unwanted items that will need to be disposed of. Unless the estate sale firm offers to haul these items, it then becomes time to find a good junk removal service. 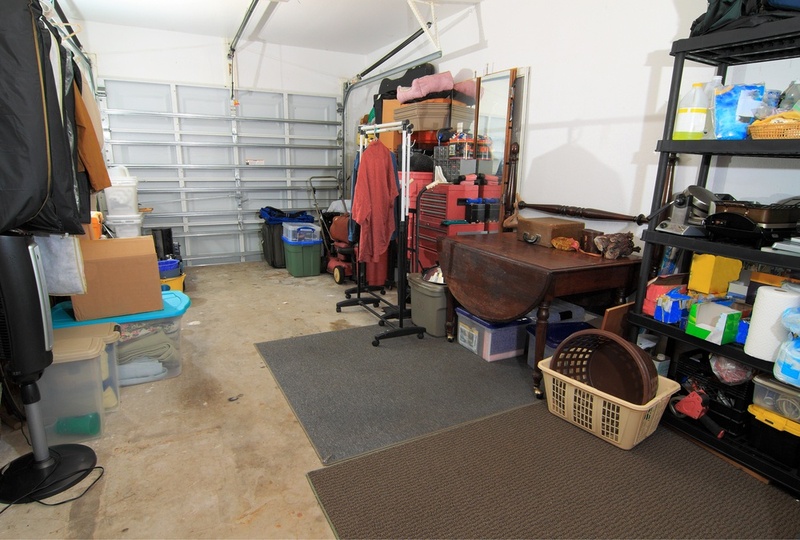 If you decide that downsizing is right for you, you may find that you will need to get rid of all the junk you have left after your cleaning out project. This is not a light decision and you will need to determine which firm is the right one for hauling it away. 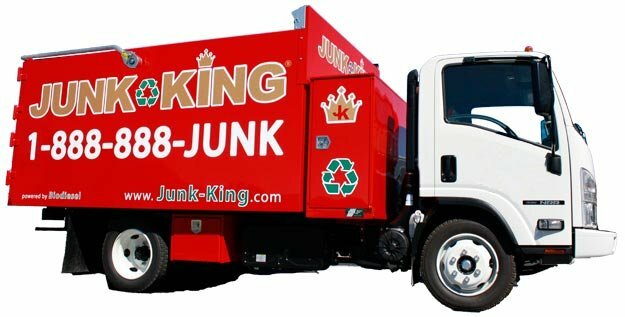 While you could hire someone you know, or do it yourself, Junk King really is the firm of choice. That's because Junk King provides an efficient, safe and eco-friendly junk disposal service. That means you don’t have to worry about the pick up or disposal of the debris after your project is complete. Our team specializes in large waste removal and trash hauling. We can be at your facility in mere minutes, so call us today! Our crew is fully insured and well-trained, so you can trust them to get rid of your unwanted items in a professional and courteous fashion.